Driving in the EU – What do I need to know? With excesses of culture, history and natural beauty, not to mention delicious cuisines and exciting nightlife, our European neighbours welcome millions of British visitors every year. If you choose to visit the continent this summer, get more out of your experience by driving. Driving means you have flexibility to explore without waiting hours in airports. However, it’s not just driving on the opposite side of the road to take into account when taking to the roads of our EU neighbours. Make sure you’re in the know so you don’t ruin your holiday! Depending on where you’ll be driving in the EU, you may need different documents and/or equipment. For example, it’s compulsory to have a first aid kit on board in Austria and Croatia, and you need to have headlights at all times in Sweden. The AA has put together this handy guide of what you’ll need to carry for the most popular destinations in Europe. If your destination isn’t on the list, don’t forget to do a little research to avoid being fined! Will my regular insurance & breakdown cover me in the EU? You should inform your insurer if you’re planning on taking your car out of the country. While your insurer should cover you abroad, your policy could be downgraded to third-party only. So, don’t forget to double-check exactly what you’re covered for abroad. Most temporary insurance policies, including Veygo Temporary Car Insurance, don’t cover EU trips, so always double check with your insurance provider. For breakdown cover, you’ll also have to check if you’re covered abroad with your provider. Am I old enough to drive? In some EU countries, such as Latvia & Norway, drivers must be aged 18 and over. You can check the minimum driving ages out for EU countries here. Are speed limits the same? National speed limits can vary by country as they are set by the national governments, so make sure to check these before going. A lot of EU countries are more strict on speeding than the UK, with plenty imposing on-the-spot fines. 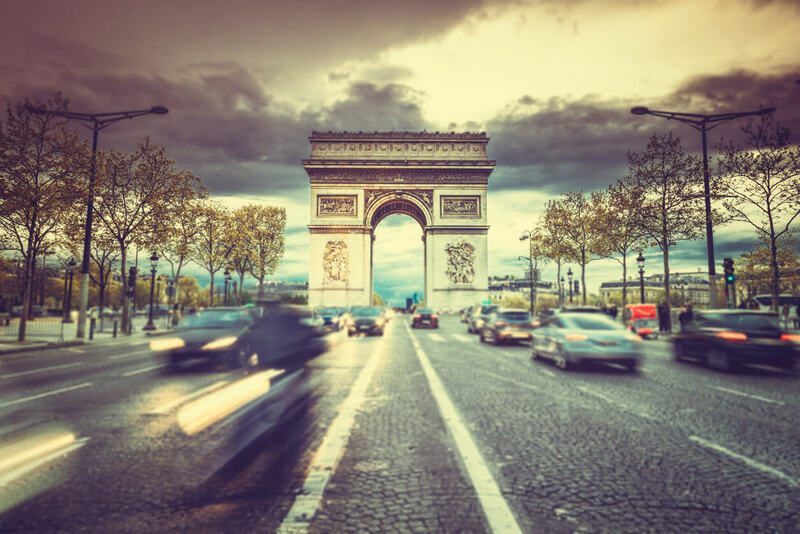 France, in particular, has been clamping down on those who break the limit, imposing €750 fines and even handing out immediate driving bans if you break the limit by a high margin. So, if you’re the only driver, you could be in serious trouble! It’s also worth noting that Sat-Navs that warn you about speed cameras are illegal in some places, so disable this function if yours has it. If you can’t disable it, you’ll have to avoid bringing it completely. What will happen if I commit a driving offence abroad? Remember that there are different offences in various countries in the EU. For example, most EU countries have stricter drink-drive laws than England and Wales. Instead of the level being 80mg, it’s 50 in most European countries. This is worth keeping in mind, as drink-driving could land you with a large fine and/or a prison sentence.